California Pizza Kitchen’s Bloggers Night | Here's to Life! Manila’s famous (or more aptly, infamous) rains and floods could not dampen the bloggers’ enthusiasm and determination to attend California Pizza Kitchen’s (CPK) bloggers night at CPK Glorietta 3 last Sept. 10. It had been raining all day and fiercely at times. Some bloggers were deliberating whether they would still go or not. So I thought that if I left the office at 7pm, I would still be in time for the event. What a surprise met me when I got there a little past 7 pm to see the 2nd floor function room of CPK practically full of bloggers already! At the registration area, I saw several CPK boxes marked with themes. We were supposed to pick out a theme we wanted. I selected the theme “More Than a Massage” as I was fascinated by its health theme. We found out later that whatever theme we chose corresponded with a new pizza flavor which CPK arranged for us to make. This was a meet & greet affair. Got to meet Archie Rodriguez, the President of the CPK franchise in the Philippines. Also had time to chat up emcee RJ Ledesma. I told RJ that I knew he was a yoga teacher and first saw him at Vinyasa. When I introduced myself as the one behind the yoga blog, The Yogini from Manila, it turned out he actually heard of my blog. There and then, we began chatting like 2 people who found something common to talk about. Later, I also met Brad Geiser, one of the partners behind Geiser Maclang which prepared this event for CPK. I had long wanted to meet Brad who was just a buddy on a social networking site. Another buddy on that network was Jen who was there with her husband Stan. An eyeball with Jen "jencc"
It was a night of pure fun. I think most of the bloggers there were a lot younger so you can imagine the energy filling the room. The best part, at least for me, was when we made our own pizzas depending on the theme we chose. Very aptly, my pizza was the Thai Chicken one, which was so healthy because of its ingredients: scallions, chicken, bean sprouts, carrots and peanuts AND garnished with cilantro. I started out with a pizza crust, then one by one added the ingredients with the help of CPK’s friendly staff. My finished pizza was then marched off to be cooked in a hearth oven (the secret to the delicious CPK taste). CP is one of my family’s favorite. glad you had fun. how are you Jane? jane! 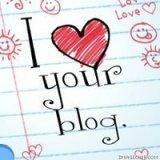 i’m touched, i’m included in your blog! 😉 hope you feel better!